We can take you on a magnificent horse rides to otherwise hidden places. You will have the opportunity of seeing volcanic lagoons and craters, set amidst the beautiful Pico countryside.Our rides are based around Piedade and normally last for 3 hours. Lunch and a guide is include. These rides are only suitable for people with a basic, or better, standard of horsemanship. If you are a novice, starter lessons are initially available. These establish the control and understanding needed to ride a horse. They last one hour and are conducted around our trainng ring adjacent to the stables. The early inhabitants of Pico broke up hard lava covering the earth to build rock walls, and then planted vine cuttings in small circles of fertile soil. Over the centuries, these plantings grew into the island's vineyards and created a unique landscape given World Heritage status by Unesco. A visit to Pico's vineyards means entering a labyrinth of black walls and green vines. 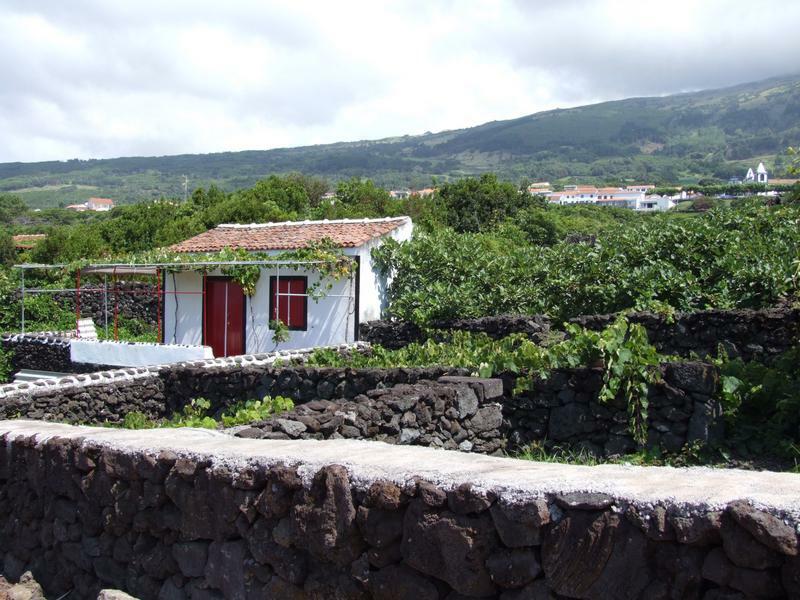 You can follow the furrows cut into the lava by ox-drawn carts that carried the grapes to wine cellars by the sea, revealing the history of an industrious community. These now preserved and protected vineyards make for fantastic walks taking in the breath taking views and historic trails taken years gone by. 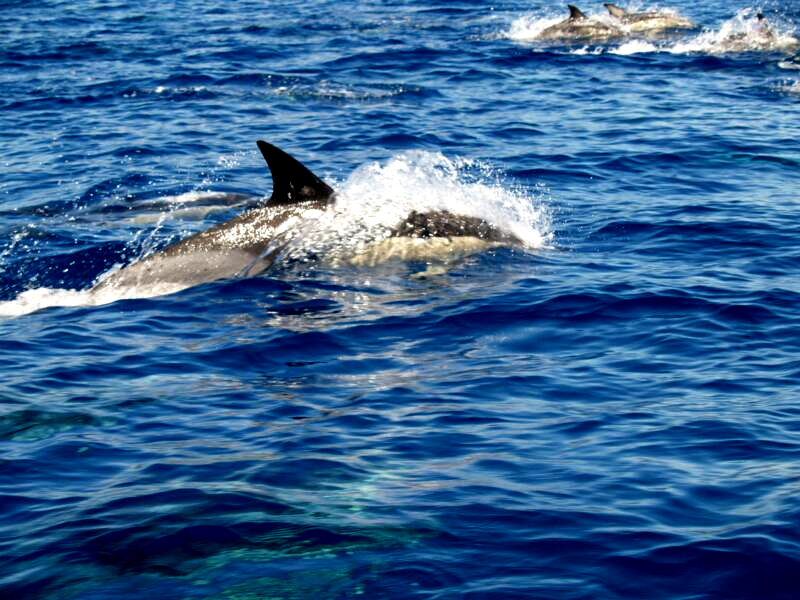 We have numerous species of whales and dolphins off the shores Pico. During our daily tours we frequently encounter up to 4-6 different species in just a single voyage. We approach all animals very cautiously, taking care not to disturb them. This is the key to a successful encounter. It is up to the animals to decide whether they want to come close to the boats or not. Sometimes we only get a glimpse of a blow, a fluke or a fin. With a little luck however, a whale might peek out of the water (“spyhop”) or even breach. Please bear in mind that sperm whales show different behaviours than baleen whales or dolphins. Sperm whales can live to an age of up to 70 years or more. Some of those whales might have bad memories of the whaling days and shy away when approached. We have to accept this and continue our tours when we notice that the animals feel uncomfortable with us.